I've been drafting a lot of topics to write about on my blog and I've also asked for suggestions as to what to write about. There were a few suggestions about writing about more GUNPLA reviews and what it is to be a female GUNPLA enthusiast but before I touch on those topics, I'd like to share with you guys what Gundam is for me. Admittedly, I hadn't shown much interest in Gundam before. I know it, I've watched it but I'm not as crazy about it as I am now. Why the sudden change? It's because I gave it a second chance. Not that it's asking for a second chance or anything but I just decided one day that "Hey, how 'bout I watch Gundam again." And it took off from there. So here are the things that I loved about it. As a viewer, we want something that gets us hooked. Believe me when I say that a Gundam storyline is really complicated - for me, that's enough to get hooked. While the story is seemingly not moving in the first few episodes, just continue to watch it. Don't give up, because it will keep getting better and better up to the point that you don't care how slow it started. And it's not just a simple story. You think you know the whole story but you're just barely scratching the surface. There are heroes, villains and some who are just plain monsters. In Gundam, the heroes and the villains switch places sometimes as the story goes on. There are also infuriating characters that makes you want to slap them. The characters have depth and it makes the story more dynamic. Moeagare! Moeagare! Moeagare! Gundam! Classic. The opening and ending theme songs of Gundam Series are so good and so appropriate that when you hear one song, you immediately know which Gundam series it's from. Plus the Opening and Ending sequence are arranged so well that every line has it's own image in your head. This part is a bit hard to explain. I don't think I can make any sense when I type more reasons as to why I love Gundam. 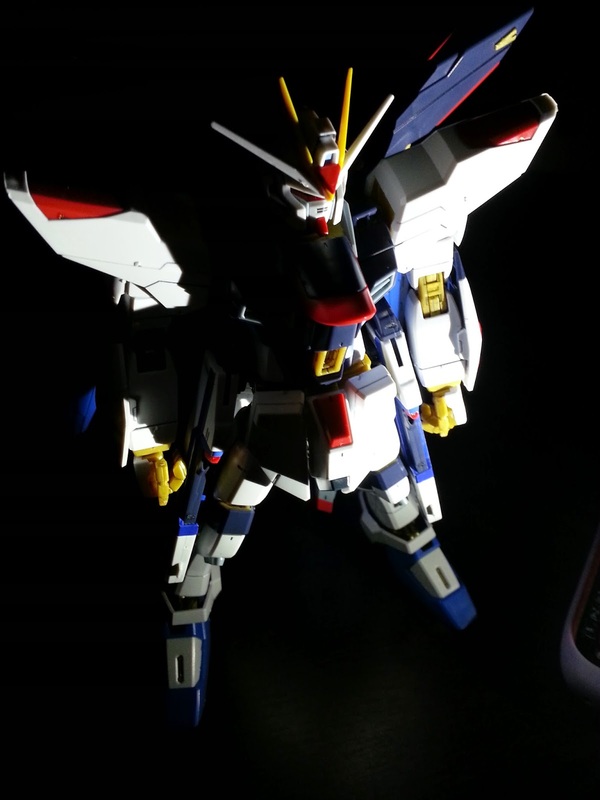 When you see a Gundam/Mobile Suit and you see what it can do, you just automatically like it. Personal preference, maybe. And it's awesome because I always imagine how it would be like to pilot one - minus the war circumstance and all. 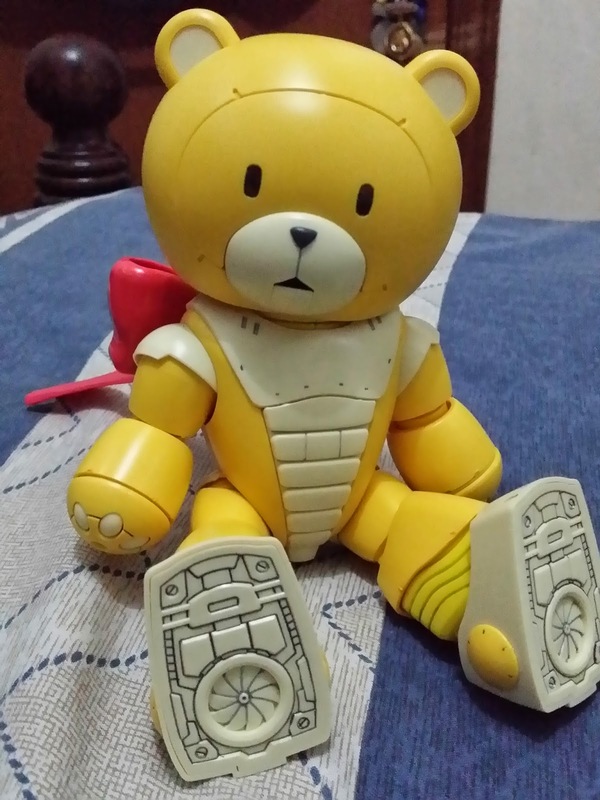 Beargguy III (San) - Seriously, this is the manliest mobile suit ever! While there are figures for anime characters, there's GUNPLA for Gundam. This is relative to liking Gundams and Mobile suits. When you like them, you will undoubtedly like Gunpla because having a piece of the Gundam or Mobile Suit that you like in your room on display is just...so nice. It's like a trophy or something. It just gives me the feels - if that makes sense. Let me just add that there's a lot of Bright slap to go around. Actually, not only Bright, but also other characters. But I must say that Bright gives the most timely and most epic slaps and punches. Anyway, it's just amazing that you can play most of the Gundams and Mobile Suit in one game! And it's very consistent with the movements of how it's shown in their respective series. It gives me the feeling that I'm the pilot of the Gundam / Mobile Suit that I like and I'm using it in battle. Yeah! The list can go on and what I've written so far is just the tip of the iceberg. I have so many things that I love about Gundam that I can talk all day about it. It also has enough stories and sub-stories to last a lifetime. We can go on and on about all the possibilities that it has. Moonlight Butterfly!!! Very fun to use when you're playing Turn A in Extreme Vs. Full Boost :D Time it right though. So with that, be prepared. Gundam posts are coming. A Great Year Ahead with ANIMAX!